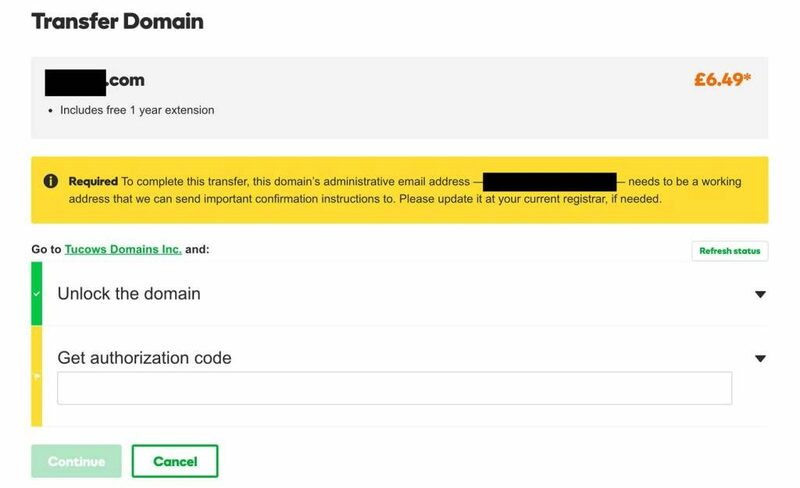 If you would like to transfer a newly purchased domain name to your GoDaddy account, please follow these instructions. 1. Visit this webpage to start the transfer process. 2. In the provided box, type in the name you want to transfer to GoDaddy. When done, press Search. 3. On the next screen, GoDaddy will ask you to provide the authorisation code necessary to initiate the transfer on your end. Copy and paste the code provided by Brandpa. 5. Unless you’d like to make your new domain name private (you can read more here: Protecting Your Domain Name), you can ignore the next screen by pressing Continue. You don’t need to make this name private to continue with the transfer. 6. 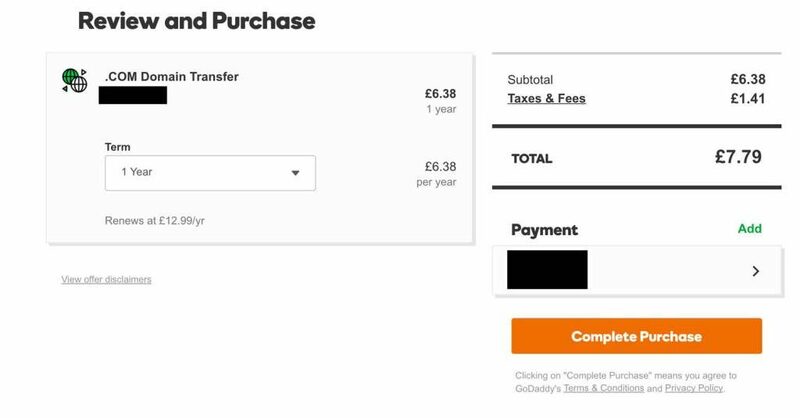 You’ll now be asked to purchase the transfer with GoDaddy. Simply click Complete purchase. With this purchase, you’re also buying one year of domain name hosting. Once done, please contact us to let us the transfer was initiated. We will need to release the domain name from us to you. It may take up to 5 days for the transfer to complete (depending on the sending registrar).